Popular among the legal community, VeloBind® is the most secure of all binding methods. Using a Hot Knife VeloBind® machine, a set of hard plastic strips is heat-sealed together, locking in every page permanently. VeloBind® supplies are available in 1", 2" and 3" capacities and 8-1/2", 11", and 14" lengths. 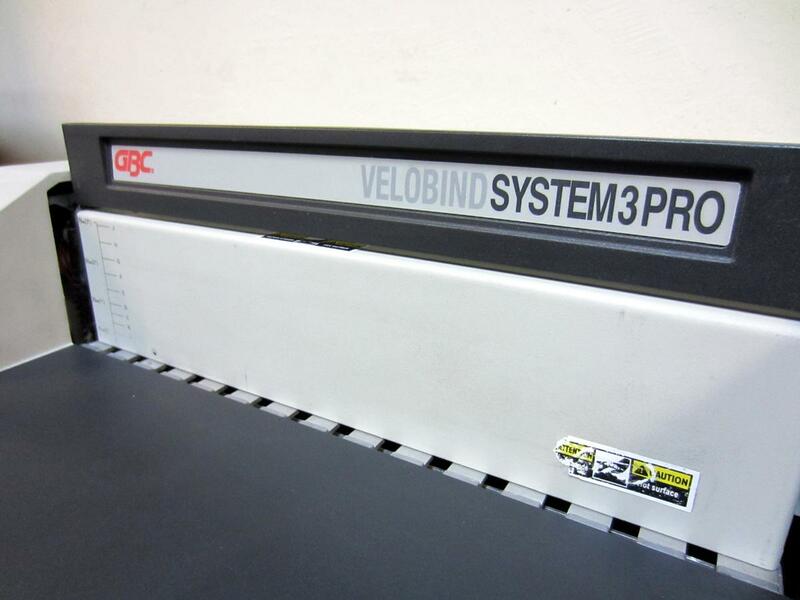 The VeloBind System Three Pro was manufactured by the renowned GBC company, known for their innovative designs to make binding easy. They have succeeded again as the VeloBind System Three Pro offers the maximum productivity in an easy to use desktop binding system. This is a perfect hot knife velo punch and bind machine for mid to high-volume users. The VeloBind System Three Pro has the capability to bind up to a 3" thick document (typically about 750 sheets of 20# paper stock) in just a few seconds. The audio timer beeps to indicate when the binding process is complete, and the time is adjustable for faster a turnaround on smaller presentations. One of the great things about the VeloBind System Three Pro is that you have the choice of which operation to use including push button, punch sensor, or foot-pedal control. All methods come standard, so there is no need to purchase additional parts to bind the way you want to. The pressure bar holds your stack in place while you bind, so there is no need to hold it by hand. 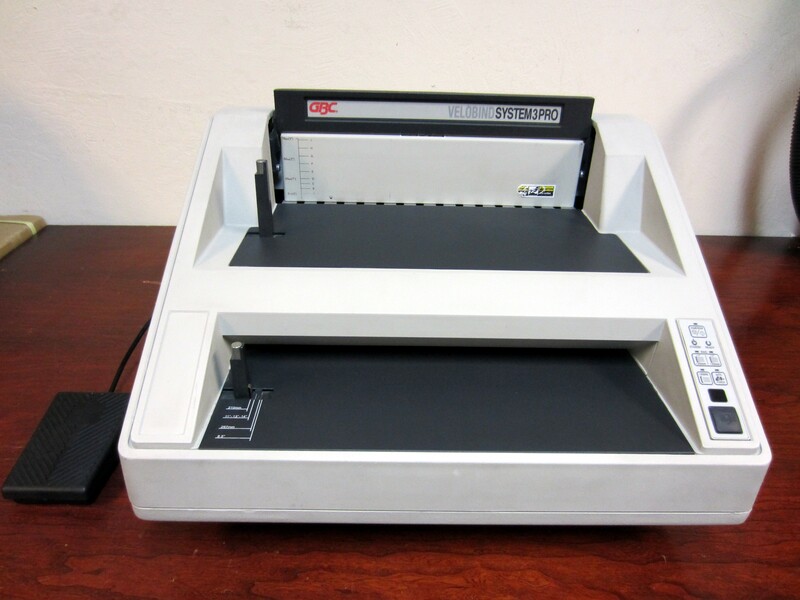 Another great feature of the System Three Binding Machine is its built-in de-binding function that lets you revise sheets without the manual de-binder, which has a tendency to be tough on the operator. The ready light indicates when the binding is complete and the extra-large drawer for paper waste and pin debris lets you empty the waste bin less frequently, leaving more time for binding and less time taking out the trash. 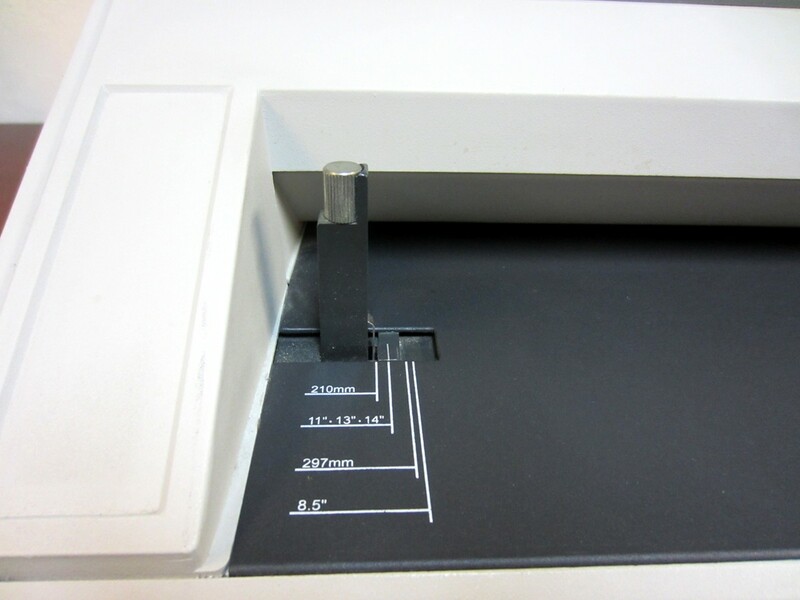 With the adjustable paper alignment guide, you can center your holes on you sheets up to 14" legal size documents. The pressure bar firmly holds sheets for a compressed, professional bind and automatically rises when the binding is complete, releasing your book. The bind speed indicator adjusts the binding speed based on the document thickness and the integrated de-bind feature lets you add or delete pages effortlessly after the document is bound. • The VeloBind System Three Pro is fast… in just seconds your book is firmly and professionally bound. 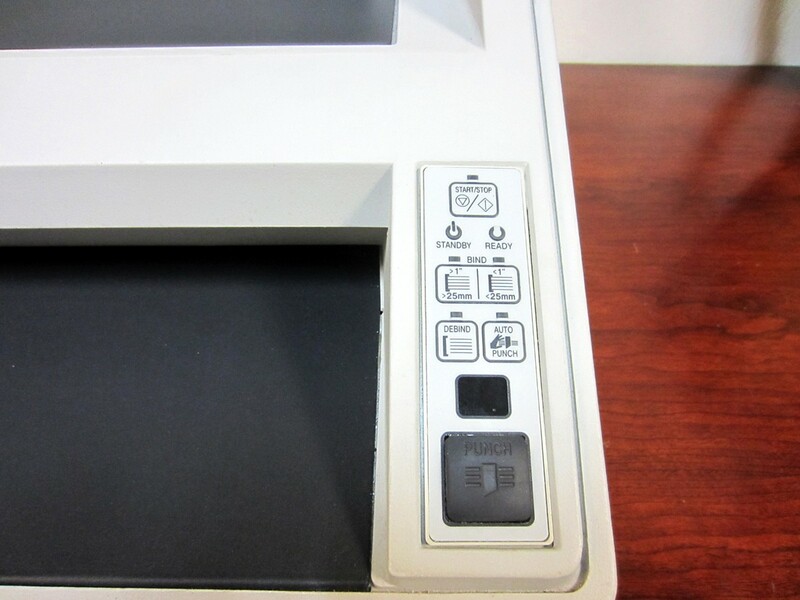 • The VeloBind System Three Pro is easy to use… just place your sheets in the machine, use your choice of operation (foot pedal, push button, or automatic sensor) and the system alerts you when the binding is completed. • The VeloBind System Three Pro makes de-binding is easy… most hot-knife velo bind systems require you to use a hand-held de-binding tool that can be difficult to use. 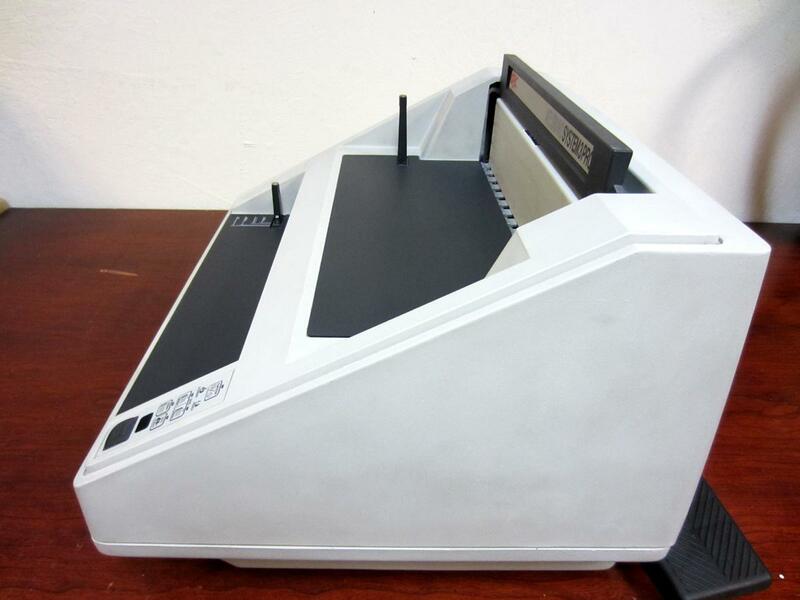 To de-bind with the System Three, just set your book in the machine, activate the de-bind function, and the machine automatically removes the velobind strip from you book. • VeloBind offers a “permanent” bind that is used primarily in the legal industry because of it’s tamper-proof capabilities. • VeloBind provides a flat spine for easy storage, transportation, and mailing. • The System Three Binding Machine has a closed throat, limiting the user to a maximum sheet length of 14”, and a minimum sheet length of 8.5”. • Velobind Binding Strips are available in 8.5”, 11”, and 14” lengths only, and cannot be cut-to-size, limiting your book sheet size. • When the book is open, if your pages are not creased or scored, the book will not lay flat .